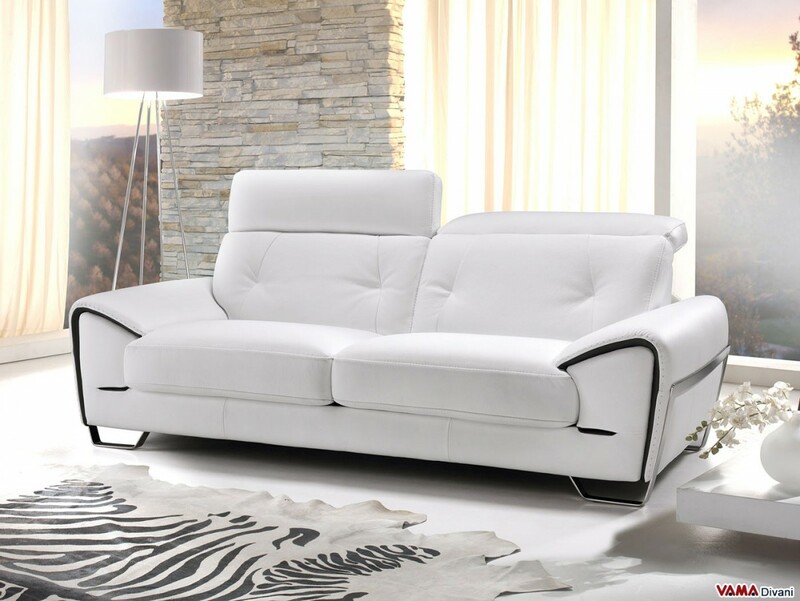 Comfortable and contemporary sofa with a sturdy look, fully upholstered in high quality white leather embellished with pretty details like the striking steel structures which surround the sides of the sofa and the tonal seams made by our Italian craftsmen on the arms. The reclining headrests, as well as the large soft padding, optimally enhance the comfort of this sofa, available in other sizes. 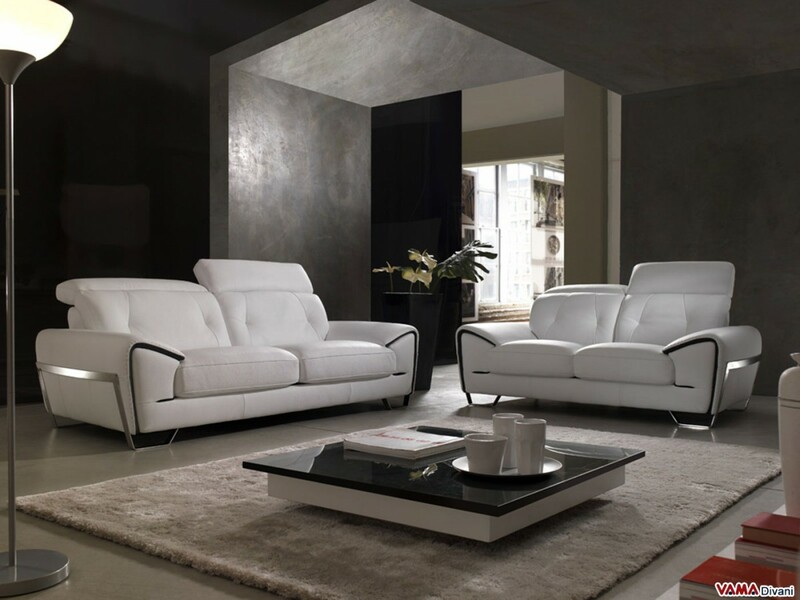 Zoom is a contemporary leather sofa with an interesting and informal design, perfect for lovers of contemporary style and for those looking for a piece of furniture with a strong personality for the room to decorate. This contemporary sofa with a sturdy and strong structure is entirely upholstered in high quality white leather, and its surface is embellished with interesting little details, such as the tonal thick thread seam of the arms and the support structures in polished steel which surround the sides of the sofa itself. Very soft and comfortable, this beautiful sofa is characterised by two soft headrests that further enhance its comfort. 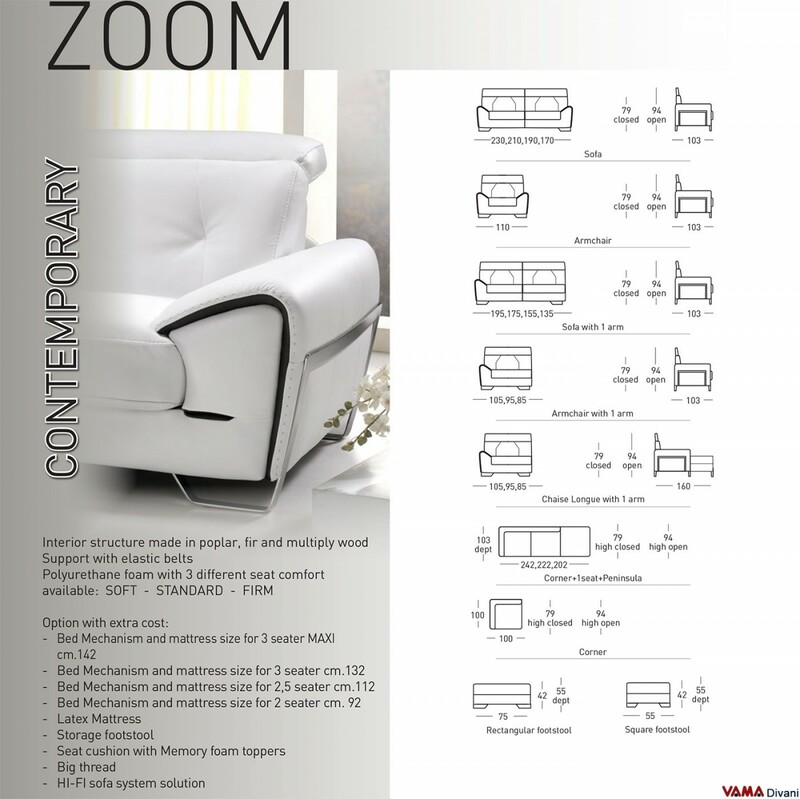 Although it is a sofa with a rich, original and very clean design, Zoom is a very simple and easy to match piece of furniture, absolutely perfect for a contemporary or minimalist style.